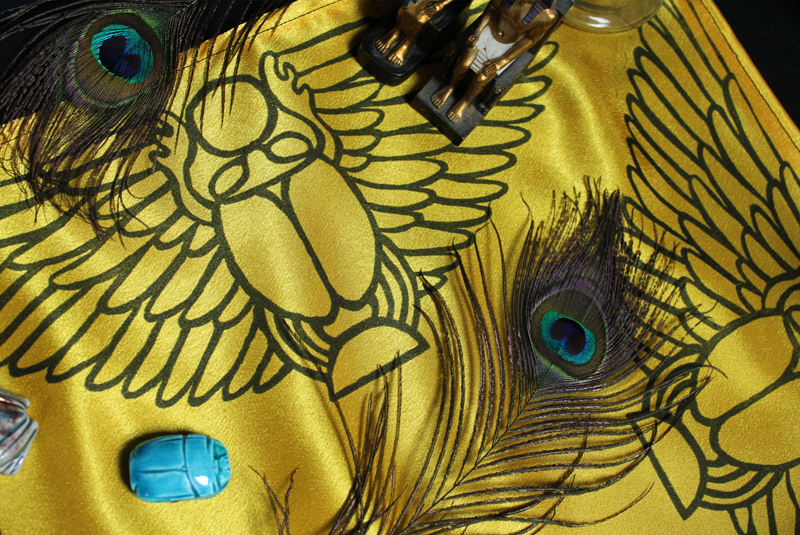 This hand printed Winged Scarab Altar Cloth and other Altar Cloths are available at my Etsy Store. 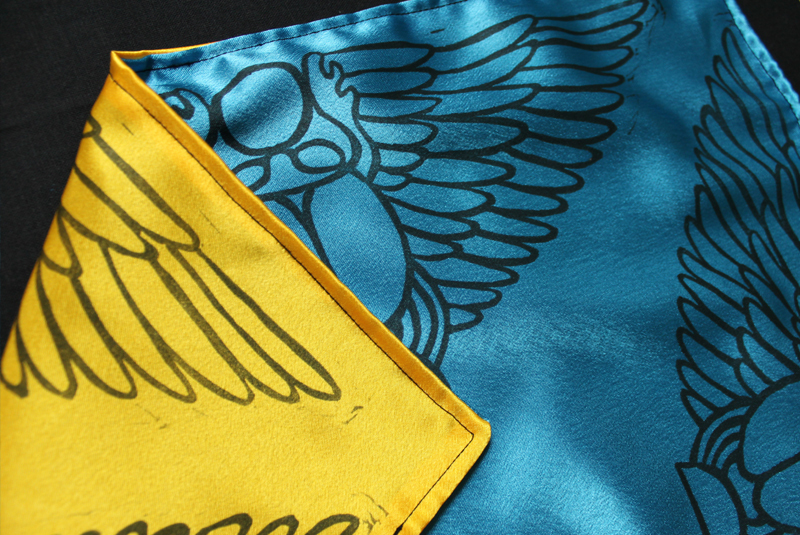 I hand printed these altar cloths with a hand carved winged scarab stamp on my etching press. 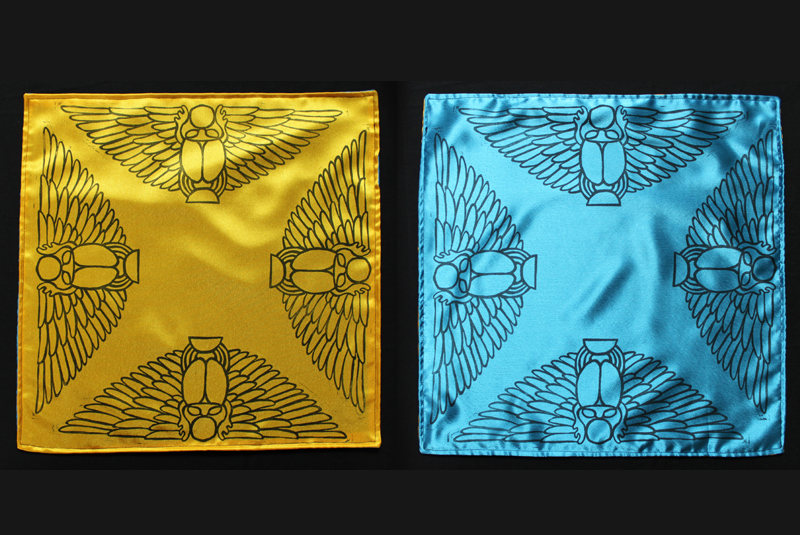 The altar cloth is double sided: shiny yellow coloured cloth and shiny turquoise coloured cloth, both with black print. This way you get two altar cloths in one. 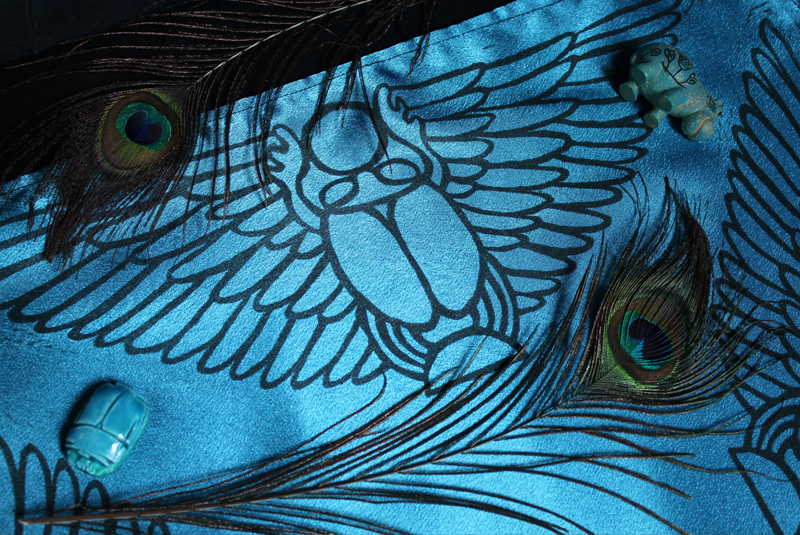 The Scarab represents birth and rebirth in Egyptian Mythology. The scarab beetle is a dung beetle which means it collects up dung which it rolls into balls. It lays its eggs inside the dung ball so that the beetles are born out of the balls. The Egyptians saw these baby beetles emerging from the dung balls and they made the connection with birth and rebirth. They in fact didn’t believe there were female dung beetles and that this process of laying the eggs in the balls created the beetle babies. Scarab beetles were also connected to one of their solar gods: Khepri, from the word Kheper meaning develop, come into being, to come into existence. Khepri either took the form of a beetle or a man with a beetle head. This connection presumably stems from the Egyptians seeing the dung beetles pushing dung balls around and associating this with the coming and going of the sun. The Ancient Egyptians believed that creation began when the sun rose up from the mound: the primeval earth which stood in the primeval waters before life started on the planet. 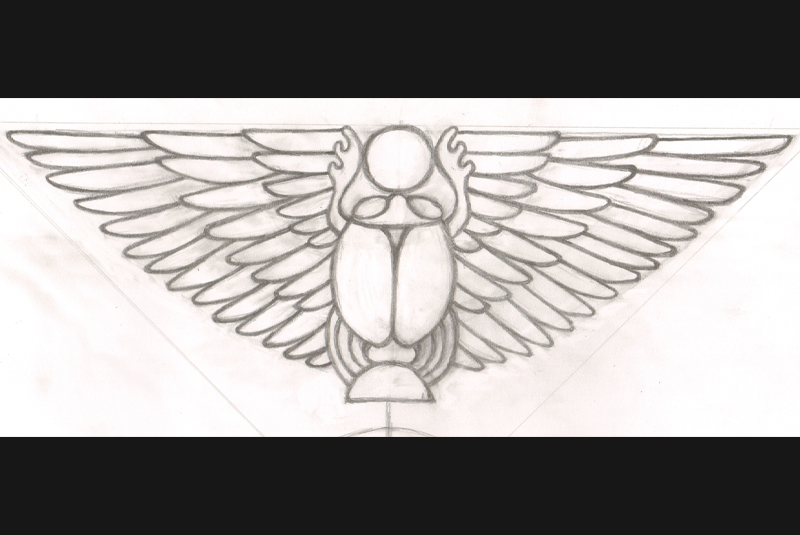 Some accounts say the sun emerged in the form of the scarab god Khepri.